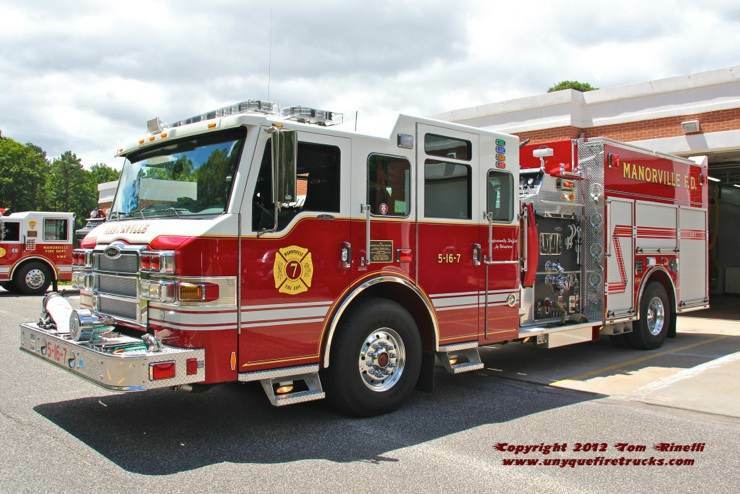 1989 Sutphen 95’/2000 gpm/300 gal. 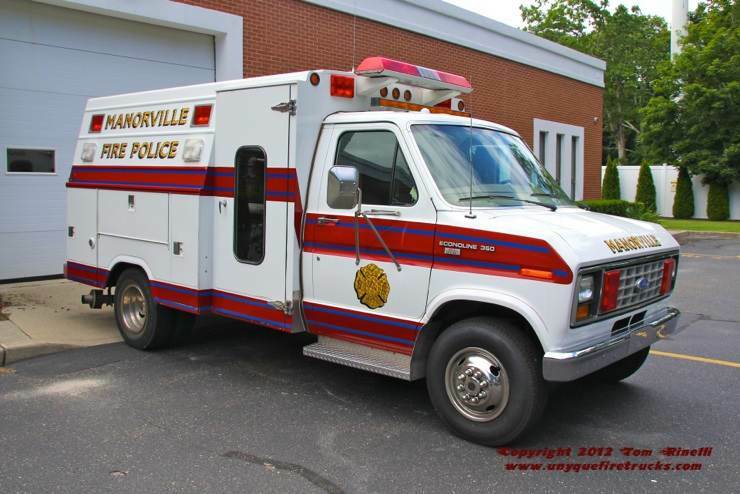 Formerly serving Mastic (LI, NY), it was purchased by Manorville in 2002. 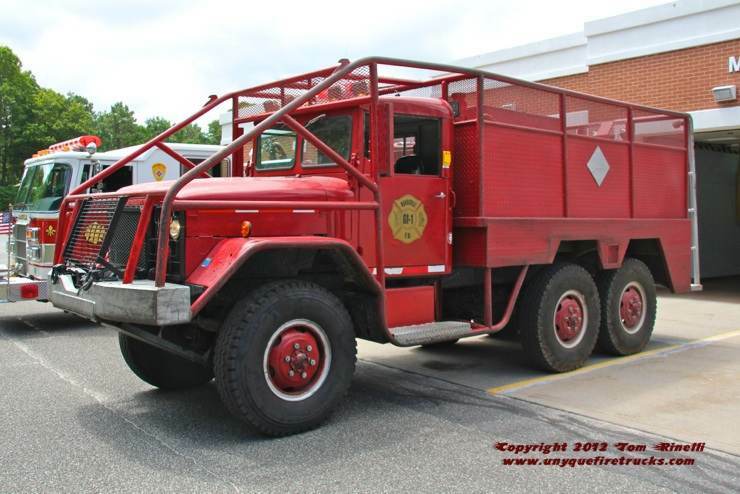 5-16-GI-1 - 1968 AM General 200 gpm/750 gal. 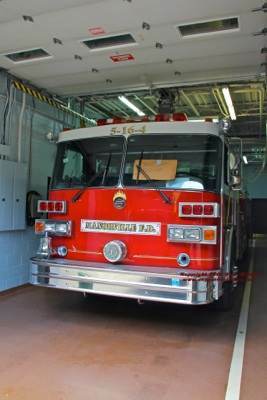 This rig has a twin of 1970 vintage operating from Station 2. 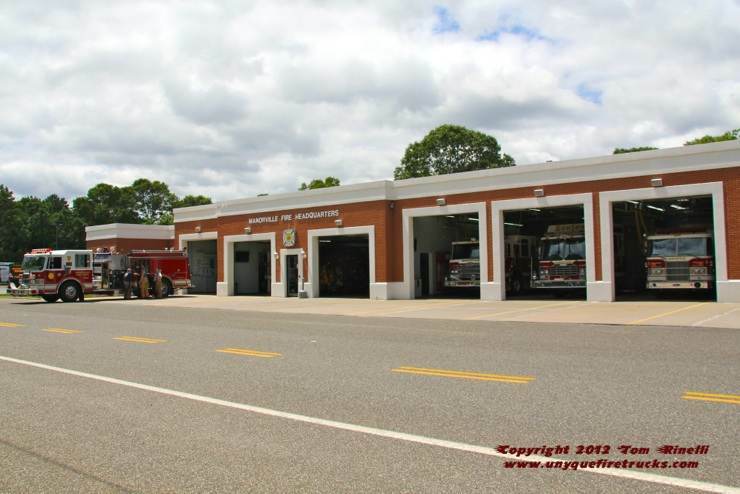 Protecting the central portion of the district, Headquarters is home to a rescue engine, tanker, brush truck, tower ladder, heavy rescue & fire police unit. Outfitted for extrication, water & ice rescue, this rig is equipped with dual Hurst extrication tools. 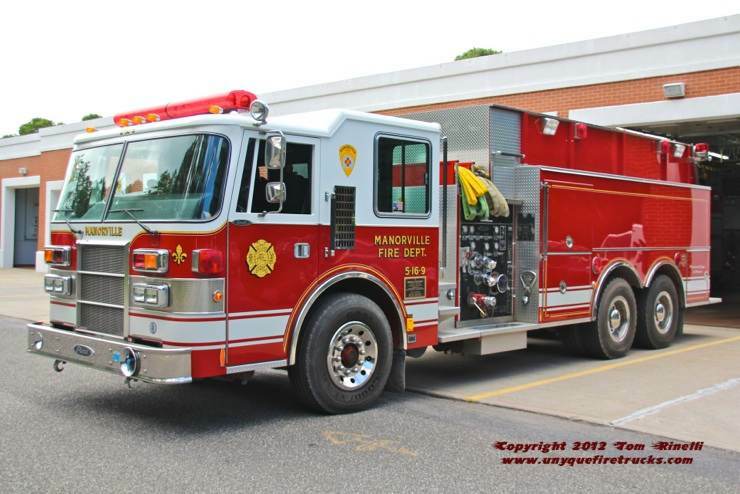 Tanker 5-16-9 - 1993 Pierce Dash 1500 gpm/3000 gal. 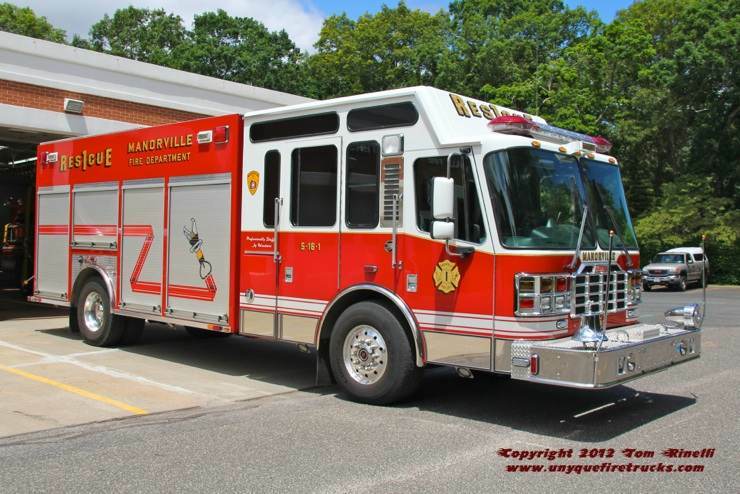 Engine 5-16-7 - 2010 Pierce Velocity 1500 gpm/750 gal. Operating as a rescue engine, it is equipped with a Hurst combi tool.